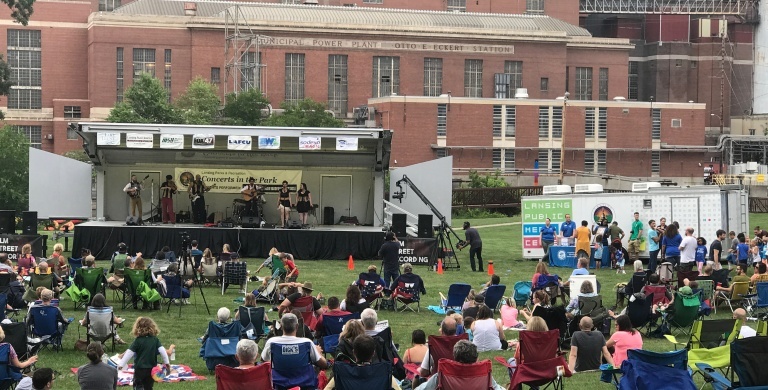 Come to the 2018 Moores Park Concert on July 25 as part of the Lansing Parks and Recreation summer concert series. Bring a picnic, blanket & dance the evening away with the LUVS (The Lansing Unionized Vaudeville Spectacle)! There will be very limited parking available via the Moores Park Dam parking lot, but additional parking will be available at St. Casimir Catholic Parish. You could also peddle to the concert with the Lansing Bike Party – (LBP LOVES LUVS) or paddle from the concert with River Town Adventures – (LUVS Electric Glow Paddle) that evening. It starts around 7pm – we hope to see you there!